We design, install and maintain beautiful, sustainable gardens and landscapes. Ian Fyffe began his career in the pool business cleaning pools at a summer job, while attending Wharton. A competitive swimmer and diver, he and founded Sparkling Pools in 1981 before he'd graduated. Since that time, the firm has grown exponentially and today, Sparkling Pools takes care of thousands of clients and is a leading pool maintenance company in the Hamptons - from Southampton to Montauk. Known as a "pool guru" Fyffe is the "go to" guy whether the subject is pool building, installation or maintenance. When asked what their specialty is - Fyffe sums it up simply, with one word: "caring." He and his team care about the people they work for and the people they work with. It makes a world of difference. Dedicated to providing tranquility, balance and private-custom-designed oasis for a loyal clientele, Sparkling Pools has over 20 full time team members. We are dedicated, responsive, year round professionals. At Sparkling Pools we are serious about balance and strive to create what we call "water harmony" in each pool we build or maintain from Southampton to Montauk. This is achieved by using the minimal amount of chemicals while providing maximum pleasure and safety. Additionally, everyone on our crew starts the day together with a joint meditation practice. (See, we said we were serious!) Visit our showroom at 45 Hampton Road in Southampton! 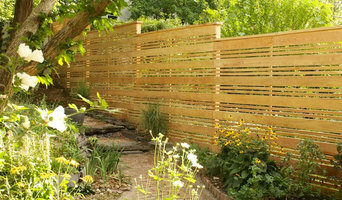 Brooklyn - based Natural Garden Landscape is recognized as a leader in top-quality, artisanal garden construction in the NYC area. 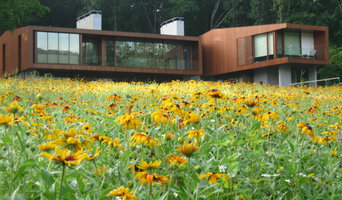 We differentiate our gardens by utilizing natural building techniques, locally-sourced building materials, and native plant landscapes. We specialize in custom woodwork and stonework, and have recently had our natural stonework featured in an article on Houzz! We offer design and installation of gardens on rooftops, in backyards, on terraces and indoors. We fabricate and install the components of our design process in-house, including decks, fences, patios, pergolas, planter boxes, and plantings. 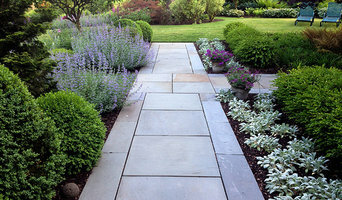 Serving Westchester County, the Hudson Valley, Northern New Jersey, and Long Island, HARRIS Landscape Architecture is a full-service landscape design firm with 30 years of experience. We want to help you achieve your dream landscape. Environmental Landscaping and Design Inc.
Action Water Gardens, Inc. has all of your pond and contracting supply needs. 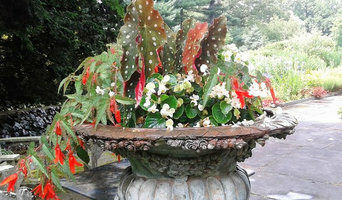 We specialize in decorative water features including: ponds, fountainscapes, pondless waterfalls, waterfalls, and more! Also check out our selection of high grade koi! We are a design build company serving Long Island for over 25 years! Sivilli Landscape Contracting Corp. is a family owned and operated custom landscape and masonry design build contractor with a reputation for integrity and professionalism providing stellar craftsmanship. Sivilli Landscape Contracting Corp. provides each client with a unique design and the reassurance that the quality of work will be “above and beyond” their expectations. Our goal is to provide each client with dependable and prompt service that they can rely on. At Greenery NYC we believe that bringing the natural world into your home, office, or garden will increase your quality of life. We’re passionate about plant and garden design and love to share what we know. Our mission is to bring more plant life to urban landscapes and create lush sanctuary spaces that refresh and invigorate the senses, building long-term relationships with our clients and giving them the tools to successfully care for plants big and small. We strive to create exquisite botanical works of art for our customers, and believe that the right garden design can transform even the smallest of spaces into a natural oasis. My mission centers on achieving a fluid symbiosis between the built environment and nature. The landscape surrounding your house should integrate with the structure, creating a unified visual and physical statement that reflects your personality, style or an aesthetic. My designs tend to follow simple clean lines, with bold forms and a visual reliance on the plant materials' detail, texture and character. Structures are woven into the fabric of the landscape, with a sensitivity to existing architectural or historic references. My vision is to develop a plan that creates benign transportation through a landscape utilizing plantings, allees, focal points, views, stonework and exterior elements. With 25 years of experience in landscape design, my depth of knowledge about where and why plants thrive allows me to design a complete range of landscapes, from luxuriant perennial borders, cool shade gardens and orchards to bountiful vegetable gardens, and naturalized woodlands, wetlands, and meadows. I am a natural problem solver in the landscape and enjoy nothing more than getting down and dirty. I will tackle any job from grave sites, perennial borders and vegetable gardens to terraces, stonewalls, cascading waterfalls and complex biodiverse plantings. I want everyone to benefit from the intrinsic visual beauty and joy of being outdoors. Peggy Amster Landscape Design has been designing custom residential landscapes, primarily in the Hamptons on eastern Long Island, since 1999. Peggy Amster works with existing landscapes and plantings as well as creating entirely new spaces. A well designed landscape is a carefully thought out combination of the principles of art combined with horticultural and contracting knowledge. Peggy has an MBA from Columbia University and a certificate in Landscape Design from the New York Botanical Garden, plus many additional drawing, landscape design and horticultural courses. Landscape design is very personal and is unique for each client and site. I work in collaboration with the client to design outdoor environments that reflect the the client's specific tastes, that relate to the client's residence, and that are sensitive to the surroundings. Together, we consider the views from inside the residence, as well as the feeling of being within the outdoor spaces. Welcome to Sungold Design Group, LLC. 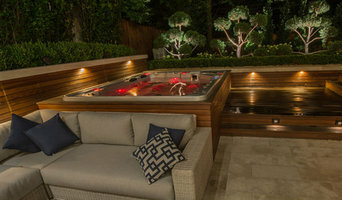 We are a boutique Landscape Design & Build firm located in New York City. At Sungold Design Group, we take an integrative approach to Landscape and Rooftop Design; combining the key elements of Garden Design, Horticulture, Fine Art, & Sustainability, to create a space to live, laugh, and relax in. When we meet with our clients, we discuss your lifestyle and how you want to not only use, but feel in your space. We take our unique and creative design aesthetic to bring in elements that reflect our clients’ aspirations for their garden. Each design is one-of-a-kind and draws it's inspiration from each specific location- whether it is an urban garden or seaside retreat. Our founder, Alex Berkowitz, leads each project from concept to completion. She is there every step of the process, from the first consultation, to the design stage, and is personally there to oversee every installation to ensure it’s up to the highest standards. International Landscape Architecture & Urban Design Services - More than 25 years of professional experience within the design industry, with a focus on "high-end projects".